There are some strange world records out there; from the farthest milk squirting distance to the longest career as an ice cream man. And then there are the booze-related records. 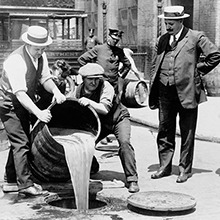 From largest tastings to most expensive cocktail, our industry has always been about competitiveness. 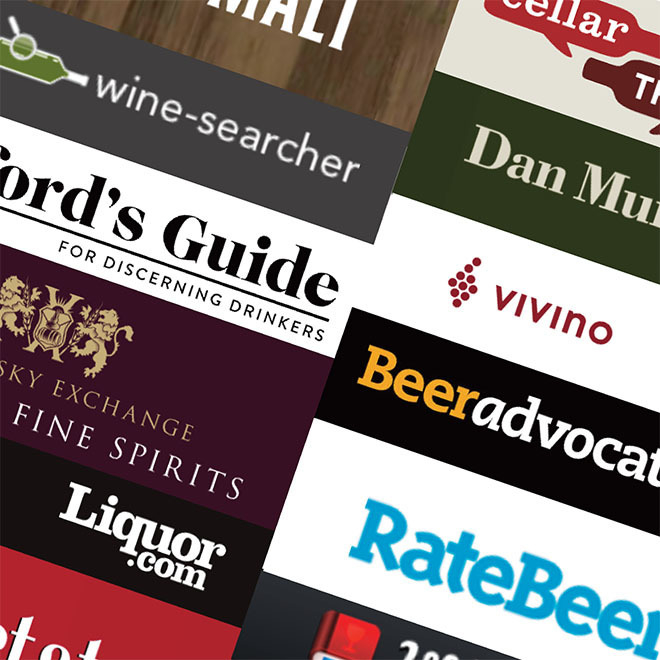 As International Rum Ambassador, Ian Burrell, attempts to hold the largest rum tasting ever, we look back over some of the world's alcohol records. 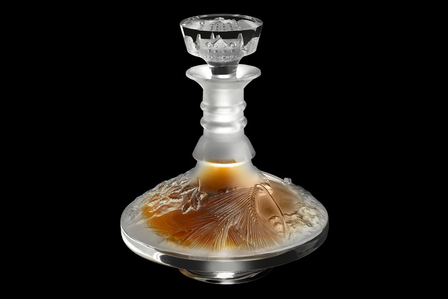 This honour goes to a bottle of 64-year-old Macallan in Lalique for a staggering £291,125 or US$460,000. The sale took place at Sotheby's in New York on 15 November 2010. All the proceeds went to a charity which provides access to clean, safe drinking water for people in developing nations. 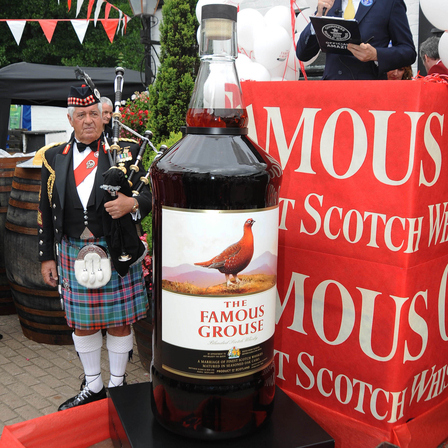 Created for their birthday celebrations, The Famous Grouse have a 228 litre (50.15 gal, 60.23 US gal) bottle of whisky which lives on permanent display at The Famous Grouse Experience for visitors taking a tour at the distillery to see. It stands at 1.7 metres (5 ft 7 in) tall with the cork in. The oldest operating Scotch whisky distillery is the Strathisla Distillery in Keith, Banffshire, Scotland which was founded in 1786. Originally named Milltown Distillery it was in the 1870s that it was given the name of Strathisla. In 1949 its owner was imprisoned for tax evasion and the next year the distillery was bought by Seagram through its subsidiary Chivas Brothers. Glenavon Special Liqueur Whisky is believed to have been bottled by the Glenavon Distillery (closed since the 1850s) in Ballindalloch, Scotland, between 1851 and 1858, making it the oldest whisky around today. The green bottle is unusually small in size and holds about 14fl oz (about 400ml) of pale gold liquid. The Guinness World Records stipulate that to compete for this title the beer keg must weigh 12.3 kg. Which is rather heavy. The highest a man has managed the throw such a hefty weight is 7.30 m (23.95 ft), this was achieved by Benjamin Hedermann, a professional shot putter from Germany, on the set of 'Guinness World Records- CCTV' in Beijing, China, on 4 December 2011. Earlier that year Michaela Pennekamp achieved a height of 3.5 metres (11 ft 5 in) earning her the title of highest beer keg toss for women. This was on 2 April 2011 on the set of Guinness World Records - Wir holen den Rekord nach Deutschland in Berlin. The strongest beer ever sold is "The End of History", which was brewed by BrewDog in Fraserburgh, Scotland and has an alcohol volume of 55%. Bottles were sold for £500 (US $806) each or £700 ($1,129) when packaged in a taxidermied squirrel. There have been stronger brews since, but not sold. The largest Beer tasting was a gathering of 392 people and was achieved by Smaakvol Gelderland, in Arnhem, Netherlands, on 29 August 2014. The largest beer tankard measures 5.87 m (19 ft 3 in) tall, has a diameter of 2.03 m (6 ft 7 in) and can hold 12,910 litres (2839.8 gal) of beer. It was created by the Meraner Altstadtvereinigung and was presented and measured in Meran, Italy, on 7 August 2010. The most beer bottle caps removed with the teeth (makes us wince just thinking about it) in one minute is 68 and was achieved by Murali K.C at Country Club Mysore, in Bangalore, India, on 17 September 2011. There were four witnesses and media at the attempt. All the caps were accounted for at the end of the attempt with clear video footage that shows this. 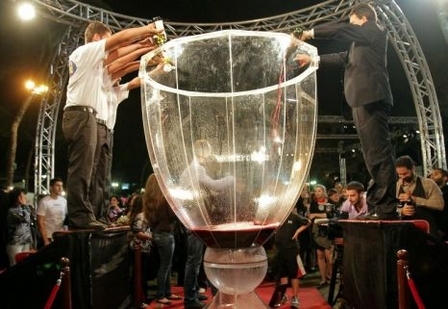 The largest wine glass measured 3.87 m (12 ft 8 in) in height and 2.04 m (6 ft 8 in) at its widest point and was created by the Kumitat Festi Esterni San Gorg Hal Qormi. It was presented and measured in Hal Qormi, Malta, on 21 April 2012. The most expensive white wine is a single bottle of Chateau d'Yquem (1811), which was sold for £75,000 ($117,000) by The Antique Wine Company, London, on 18 January 2011. 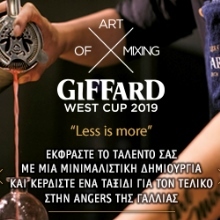 The largest bottle of wine measured 3.8 m (12 ft 2 in) tall, 1 m (3 ft 3 in) in diameter and was filled with 2,019.79 litres (444.29 UK gal; 533.57 US gal) of wine. It was created by OK Watterfäscht and presented and measured in Watt, Gemeinde Regensdorf, Switzerland, on 9 July 2011. 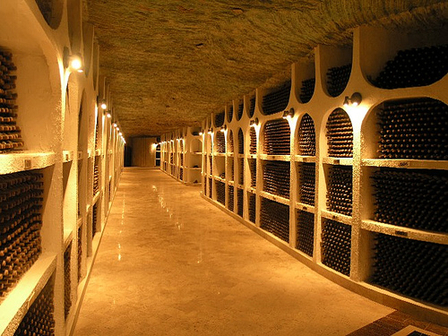 The cellars at Paarl of the Koöperatiewe Wijnbouwers Vereniging, known as KWV, in Cape Province, in the centre of the wine-growing district of South Africa, cover an area of 22 ha (54 acres) and have a capacity of 121 million litres (27 million gal). The most expensive bottle of wine sold at auction is £192,000 ($304,375), which was paid for a bottle of 1947 French Cheval-Blanc, and sold at Christie's, Geneva, Switzerland on 16 November 2010. Commandaria, the sweet dessert wine from Cyprus, is the oldest manufactured wine in the world, its origins traced as far back as 2000 BC. This wine also holds the record for the oldest "Appelation d'origine". In the year 1223, King Phillipe of France called it "The Apostle of wines" and it soon became famous all over Europe as "Commandaria", taking the name of the area where it was produced. This part of Cyprus took its name at the time of the Crusades, when in 1210 the Knight of the Order of St. John built the Kolossi castle and called the area "Grande Commanderie". The most champagne bottles sabered in one minute is 40 and was achieved by Ashrita Furman (USA) in New York, New York, USA, on 15 June 2014. The largest cocktail is 39,746.82 litres (8,743 UK gal; 10,499 US gal) and was achieved by Nick Nicora (USA), in Sacramento, California, USA, on 13 July 2012. 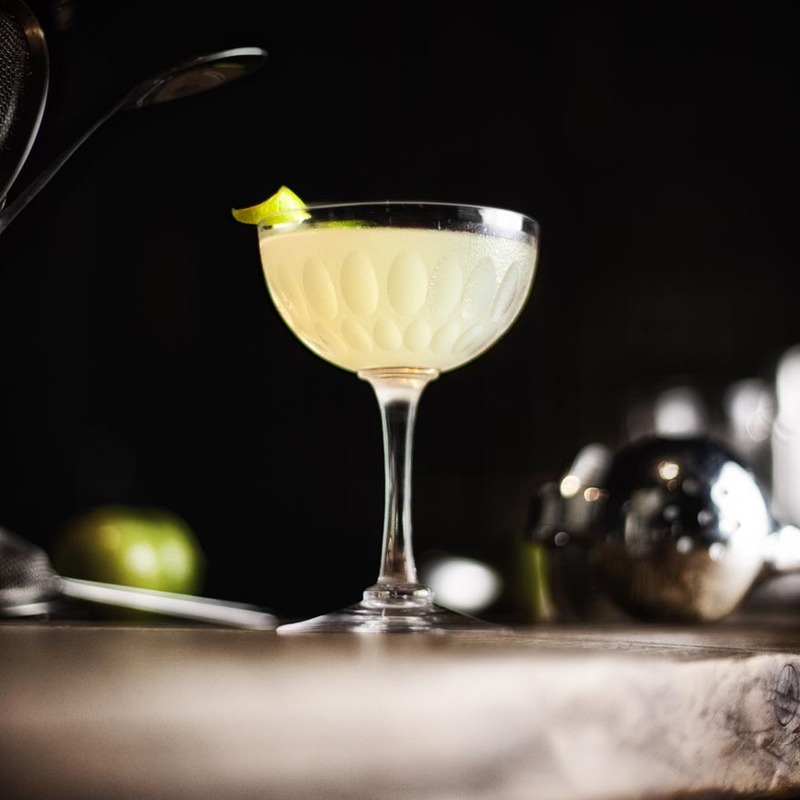 The cocktail was a margarita and it was made in a large cocktail shaker. 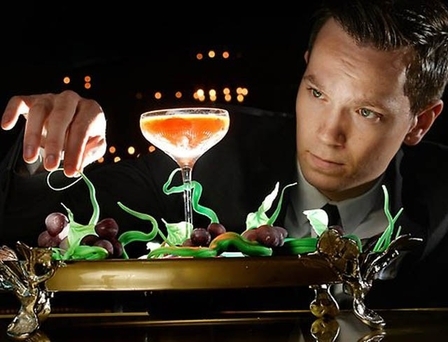 The most expensive cocktail was sold for £8,583 ($12,970) and was made by Joel Heffernan, at Club 23, Melbourne, Australia, on 7 February 2013. 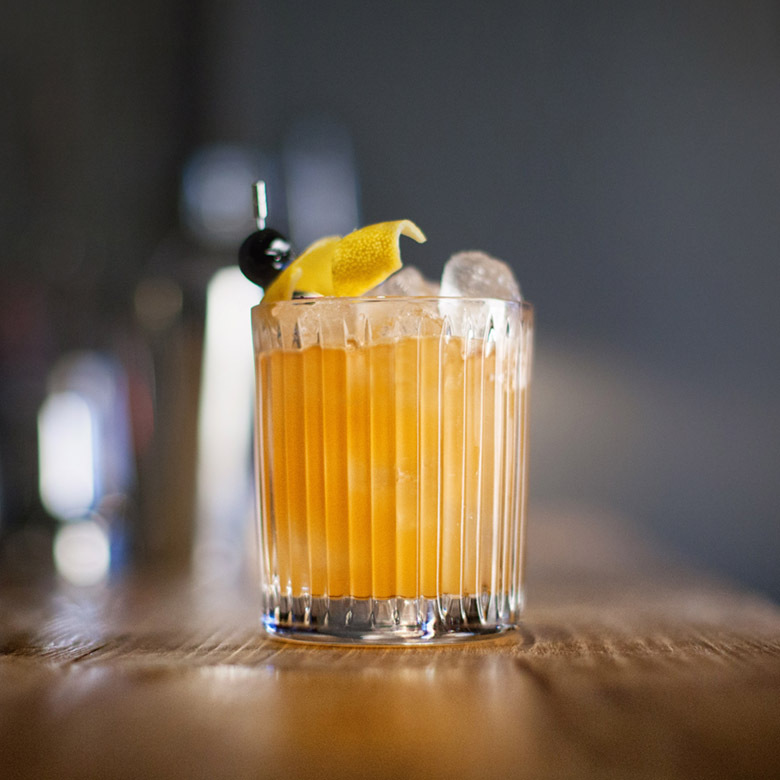 The cocktail made by Joel Heffernan, called 'the Winston', contained 60ml of Croizet's 1858 'Cuvee Leonie' cognac. This cognac is also the Guinness World Records title holder of the most expensive cognac sold at auction. The most cocktails made in one hour by a team is 3,906, achieved by Matthias Knorr, Elena Barnetzki, Anna Knorr and Thomas Weinberger on the set of Guinness World Records - Wir Holen Den Rekord Nach Deutschland, in Europa Park, Rust, Germany, on 18 July 2012. The team had the maximum number of eight participants. 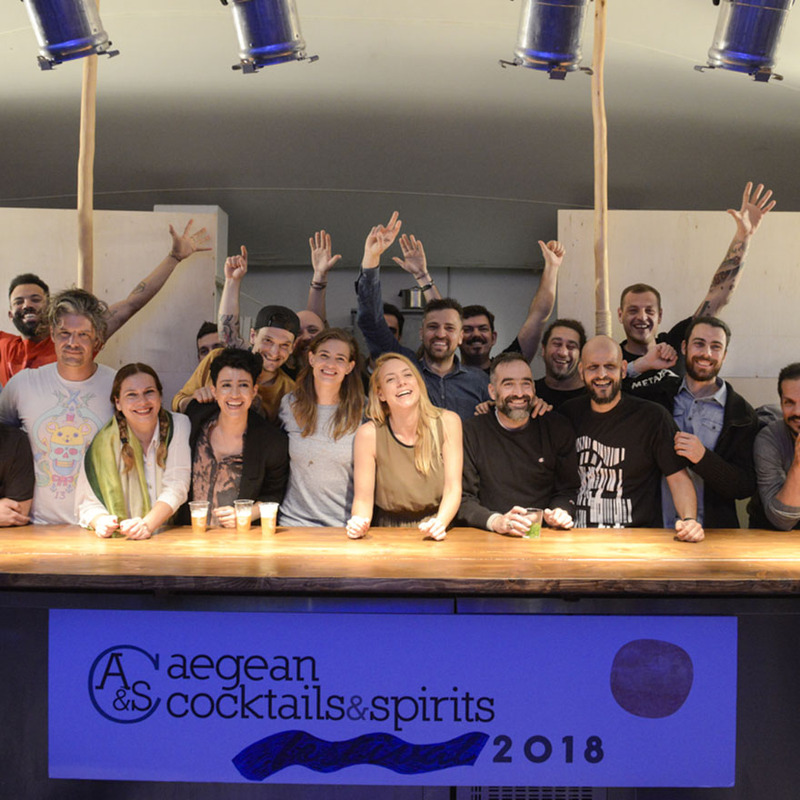 Each individual bartender did not make the same cocktail more than once. The most cocktails made in one minute is 18 and was achieved by Sheldon Wiley on the set of "GMA LIVE!" in New York, New York, USA, on 7 February 2013. The largest mojito contains 2,100 litres (461.94 UK gal; 554.76 US gal) of cocktail and was made by Massimo Masini and Alessandro Selvaggi, in Lavagna, Italy, on 14 August 2012. The mojito was comprised of 300 litres of rum, 120 kg brown sugar, 25 kg mint, 240 kg lime, 1,200 kg ice and 600 litres sparking water. The largest margarita had a volume of 32,176 litres (7,077.73 gal, 8,500 US gal) and was achieved by Margaritaville (USA) in Las Vegas, Nevada, USA, on 14 October 2011. 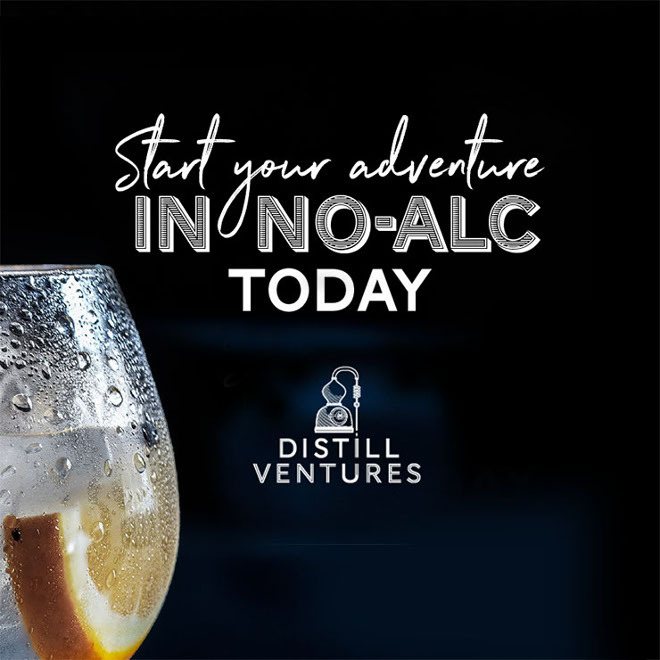 It took approximately 300 hours and 60 people to prepare the drink, appropriately named "Lucky Rita", and it was created to celebrate the grand opening of the Margaritaville Casino at The Flamingo hotel in Las Vegas.